Shane and I actually went to grade school together starting in 5k (or 5 year old kindergarten). In 5th grade, Shane actually had my mom as his teacher and I had the other 5th grade teacher. Shane and I also went to the same high school together with the exception of freshman year. We had always been in the same friend group and our siblings were the same age and also in the same class for all of grade school and high school. It wasn’t until the summer before junior year that we started hanging out and realizing that we actually got along really well when it was just the two of us a part from being in a group. Where was your special day? Ceremony at Our Redeemer Lutheran Church in Wauwatosa with the reception at Pioneer Creek Farm in Lomira, WI. During spring break my Junior year of college, Shane and I were invited to go to Marathon, Florida with my brother, Nathan, and his girlfriend’s family. Shane’s plan was to take me to a romantic beach to propose while watching the sunset with Nathan covertly taking photographs. We arrived at the beach to find dozens of senior citizens waiting for the sunset. As soon as the lady in charge handed us a copy of the song lyrics for the evening, Shane knew it was time for plan B. Plan B: While we were watching the sunset for the second night in a row, Shane started his proposal. However, since I did not quite realize what he was doing, I inappropriately changed the subject to how I wanted Nathan to take a nice picture of us. Little did I know, Nathan was already standing by with the camera to capture the engagement as it happened. So once Shane got back on track, and asked me to stand up, I realized what was happening. Shane made my dream come true by asking me to marry him in one of the most beautiful places I have ever been. Did you see each other before the wedding? Shane and I decided we wanted to wait until I was walking down the aisle to see each other on the wedding day. I wouldn’t have changed it because I always imagined that was how it would go. I always wanted that to be Shane’s first look of me in my dress with my hair and makeup done. It’s hard to pick just one favorite moment from the wedding. Everything turned out absolutely perfect! I especially remember just feeling so loved by all of our friends and family throughout the day. As I walked down the aisle and everyone was smiling at me, in the receiving line, during the toasts, and even during the dancing! At the end of the night, everyone formed a circle around us for one final song. My favorite moment was getting to marry Shane, but knowing that there is so much love surrounding us from our family and friends made it an even greater day. Shane and I started dating on December 12, 2012 (12/12/12) so we had been dating for 5 1/2 years before we got married. Overall, I felt like the day went perfectly. I wouldn’t have changed anything. I loved every single moment of the day and didn’t want to leave! I just remember at the end of the night, after Shane and I changed, we ended up sticking around and talking with friends and family for another forty-five minutes. Spending this time talking was actually a great way to help digest the whole day! Also, the weather and location could not have been more perfect. We got married at our home church (that was where we went to school 5K-8th grade) and had the reception at Pioneer Creek Farm which is run by Shane’s aunt and is on his grandparents’ property. What advice would you offer to other couples planning their wedding? Do your best not to get stressed. There are so many things that can stress you out, but know that there is always a solution, and sometimes your vendors can help you if you are stuck. They have lots of wedding experience and may be able to offer advice or know how certain things work or don’t work at their venue. Don’t be afraid to ask for help! I know it can be hard to delegate certain things, but figure out what you know you want, and what you are OK having other people help you with. What photography related advice would you give? Don’t be afraid to ask for certain photos that you know you want, but also know that the photographer is a professional so you do not need to ask for typical or common photos that they already know to take (e.g. the big moments such as first kiss, first dance, etc.). Also, decide before you make your wedding day schedule how much time you’d like for photos and if you’d like extra time for photos of just the two of you. This time needs to be accounted for to make sure there is enough to get everything done! Any tips for taking wedding party photos? I wanted to take all of the family photos at the church after the ceremony, and a few of the wedding party at the church, and then the rest of the photos at the reception. I think one of the most important parts of preparing the wedding party is simply communication. They couldn’t have known the plan without me telling them! Communicating with the wedding party leading up to the wedding day helps a lot with organizing the wedding party. 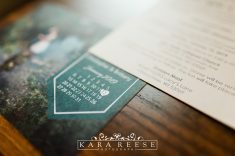 One thing I would change or just one piece of advice: if the ceremony and location are in different locations, provide the wedding party with a meet-up location and time to help everyone reconvene quickly and efficiently which helps if you need to take more photos or if you are having grand march! This is something I didn’t think about in my preparations, but could have been helpful at the time. I also knew I wanted to take family photos first because we had a lot of family photos that needed to be taken. I actually created a tentative list just for my family members so they knew how many photos they’d be included in which helped them know how long they needed to stay for pictures and when they could leave for cocktail hour. Tell me about your dress? How did you know it was the one? I went dress shopping with my mom, one of my sisters, and my future mother-in-law. We went to David’s Bridal which is where my two sisters both got their dresses for their weddings. I knew I wanted to start there because of the range of price and style. I initially did not want a ball gown at all, but after one was picked out for me, I realized it was a more flattering style for me. I tried on a couple and after putting on my dress, it just felt like the one. It was comfortable, flattering, and it stood out from the others. The tulle bottom was a simple, yet the lace bodice was stunning. It was a combination I loved and the only thing I added was a thin jeweled belt. Tell me about our experience working together! 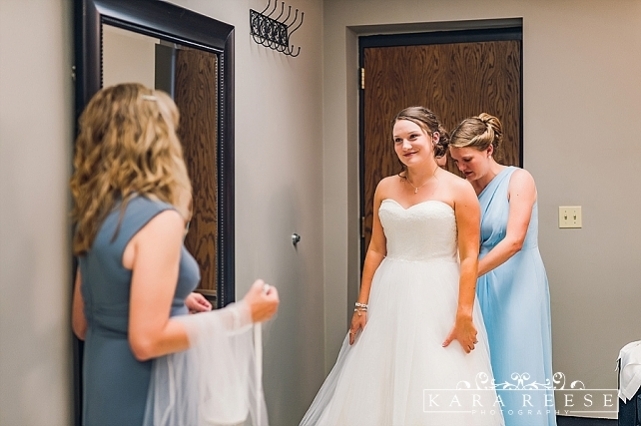 Taken from my Google review: I was married on June 22, 2018 and had Kara as my photographer and had an amazing experience!! 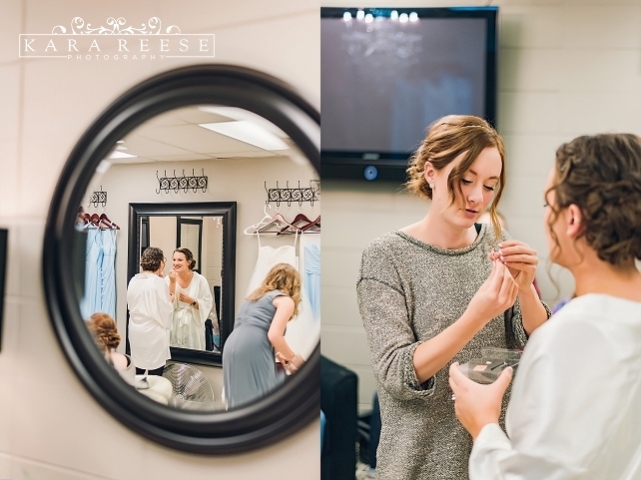 She is incredibly organized, kind, talented, and has fantastic communication (leading up to the wedding and during). She does a great job making sure she is hitting all of the important photos but also flexible if you want to pull someone in for a photo real fast and have her shoot it. The reason we chose Kara is because of her style, and it held true in the photos we received. The colors in my photos were beautiful and going through my album she really helped tell the story of my wedding day. I loved looking at the photos and knowing exactly what happened at that moment (e.g. knowing exactly what joke was told in a picture of people laughing). 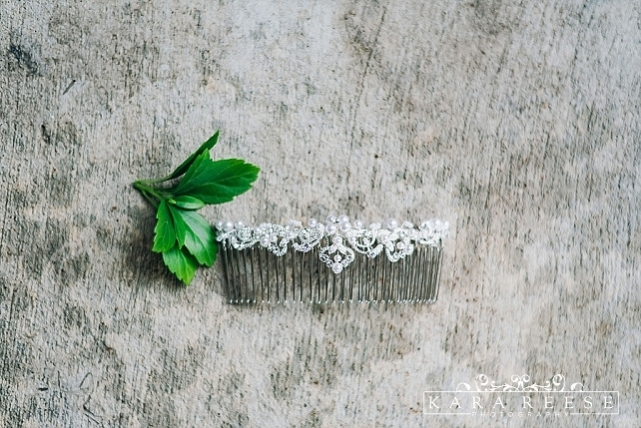 She also took pictures of the details from my wedding day which was important to me as well because those are the things I took time and care to plan. Kara is efficient and makes everything super easy. She returned my photos to me in less than three weeks.. which is crazy! For the quality we received, I would’ve expected at least double that amount of time. I am looking forward to having Kara shoot other things for me in the future (e.g. family photos, newborn, etc). She comes highly recommended by me and my family. I would say Kara tops the chart for quality, professionalism, communication, etc. and I feel very blessed she was a part of my wedding day! We love to hear about other vendors you loved working with! Florist: Bloom Floral & Event Design in Milwaukee, WI – The flowers and centerpieces for my wedding turned out even better than I could have imagined. They were beautiful and stunning. They were a little over my budget but close, and I asked for a lot of flowers so it was expected. Prices are comparable to other florists. Staff is very experienced and able to piece together ideas quickly and efficiently. Highly recommend! Caterer: Bunzel’s Meat Market in Milwaukee, WI – They served delicious food at our wedding and I had such a great experience with them! DJ: Johnny Ransom from Record Entertainment in Fon du Lac, WI – Great experience with this company. We chose them because of their solid reviews, affordability, and proximity to our venue. Turned out to be a great choice! Johnny was perfect for our wedding and has tons of experience to back him up. He not only plays music that the guests enjoy, he himself participates. He made sure everything went exactly as my now husband and I wanted it to go and has no problem making a last minute adjustment if needed. Thanks again Johnny for helping make our night that much more special! 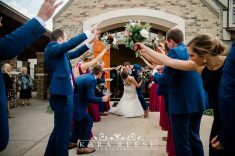 Reception Venue: Pioneer Creek Farm in Lomira, WI – (Google Review) Beautiful venue and great staff! The staff did an amazing job putting everything together and making sure the night ran smoothly. They were very efficient and friendly. I heard many positive comments by my guests throughout the evening about the venue and how breathtaking it is. So many great photo opportunities as well. We were fortunate to have a beautiful 70 degree day which made the day that much better. Owner (Shane’s aunt) is easy to work with and responds quickly. She is able to provide tips, suggestions, and advice based on her experience with previous weddings at the venue. What were you most anxious or fearful of going into the day? The only thing I was a little anxious about leading up to the wedding day was being the center of attention for the whole day. The outcome was that even though people are watching you during the ceremony and at times throughout the reception, they are all people you know and love which made it a really comfortable day. Once the day starts, it really isn’t uncomfortable to be the “center of attention” because you are surrounded by people you love and you get to marry the man you love! What songs did you dance to? Shane and I danced to “Can’t Help Falling In Love” by Haley Reinhart. Father-daughter dance was “Humble and Kind” by Tim McGraw Mother-son dance was “My Wish” by Rascal Flatts.